Nathan's View: Can you beat Commonwealth Bank's 6% dividend yield? Dividend investors have experienced the best of both worlds since the GFC. But it might be time to add some new names to your portfolio. In the more than 10 years since the GFC, investors have done well, growing both dividends and capital gains. For shareholders in dividend favourites such as tollway operator Transurban, for example, the growth in distributions and capital gains has been incredible. The company’s share price has increased nearly four-fold since falling below $4 in 2009. Annual dividends have increased nearly three-fold. This performance won’t be repeated though. The stock’s valuation measured by EV/EBITDA (enterprise value to earnings before interest, taxes, depreciation and amortisation) has increased from a low of 17 in 2009, when earnings were depressed by drivers avoiding toll roads, to a 2019 forecast of 25. Investors clearly must moderate their expectations given the average since the GFC has been closer to 20, particularly as profits will be very sensitive to people avoiding expensive toll roads if the economy deteriorates. Many retirees are relying on bank dividend yields remaining elevated, but there are two confronting issues. First, the large capital gains made by banks since Australia’s last recession in 1992 are history. Banks will struggle to maintain earnings at current levels as the demand for property loans slows. Demand for property investment loans has collapsed recently as the promise of large capital gains has been replaced by fears of large losses. Bad debts could also eventually scupper earnings and dividends. The banks already sport high valuations by global standards as measured by price-to-book ratios. A serious housing downturn coupled with subsequent capital raisings would bring valuations more in line. 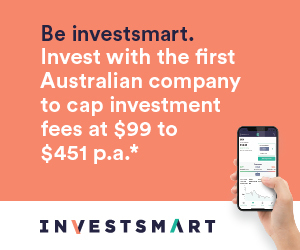 In our Intelligent Investor actively managed separately managed income accounts (SMAs), and our ASX-listed ETF (INIF) we aim to produce a minimum 5% grossed up yield. Around 15% of the portfolios are currently split between Commonwealth Bank (CBA) and Westpac, compared to the index having an exposure to Australian banks of more than 20%. As the largest lenders in Australia, CBA and Westpac have more wiggle room on pricing. In a crisis, they can raise more capital, more quickly. They have less relative exposure to business loans compared to ANZ and National Australia Bank (NAB), which is a good thing in a recession. They have been smart enough to not blow up large amounts of shareholders’ money on international ventures, where they would not be one-quarter of a regulatory sanctioned oligopoly as they are at home. But with the housing market and Australia’s economy cooling, let’s see if we can assemble a portfolio of three stocks that can deliver a 5% grossed-up yield and a higher total return (that is, dividends plus capital gains) than the banks over the next few years. Three years is a sensible timeframe for this exercise. It should incorporate the worst of the housing downturn. It is also the bare minimum of what we could charitably classify as long term. The three stocks I’ve chosen from the Intelligent Investor portfolios mentioned above are Tabcorp, Unibail-Rodamco-Westfield and Clydesdale Bank, which was spun out of NAB a couple of years back. Tabcorp currently trades on a ~4.5% dividend yield, which should grow with the company’s acquisition of lottery group Tatts. Taxation changes have levelled the playing field between Tabcorp’s wagering business and its online rivals. This will increase their costs and likely see a few names exit the industry to Tabcorp’s benefit. Tabcorp’s jewel is the Tatts lottery business. Online sales as a proportion of total lottery sales are steadily increasing around 3% per year and the rate has increased recently along with the size of the jackpots. If Tabcorp can reduce the amount it pays to middlemen, such as Jumbo Interactive and newsagents, then margins and profits should increase. Lottery revenue should also be more stable than wagering during a recession. Unibail-Rodamco-Westfield will feel any pressure on rents, but it currently boasts a 7.2% distribution yield from owning some of the best Australian and European shopping centres. Management also expects the distribution to increase ‘broadly in line’ with underlying earnings growth of 5-7% per year, as it integrates the recent acquisition of Westfield and its €12 billion development pipeline takes shape. Unibail also offers Australian investors much-needed international diversification. The share price of Clydesdale Bank, the UK’s sixth-largest bank, has fallen over 30% recently after profit margins dropped following its acquisition of Virgin Money and competition for home loans across the UK intensified. This should serve as a warning for Australian bank shareholders as the housing market continues to deteriorate. Clydesdale only pays a small dividend currently, but we expect it to increase rapidly over the next few years, perhaps averaging a 4% dividend yield. Its balance sheet is in great shape, management has an excellent track record of cutting costs and increasing profitability, and its current valuation of just ~8x earnings means there’s plenty of room for the multiple to increase along with earnings and dividends. Like Unibail, it adds international diversification. While we haven’t dealt with the benefit of franking credits, this mini portfolio is representative of the value that exists in our actively managed income portfolios. The portfolios also include at least two other companies that have the potential to double or more over the next five years. We believe the portfolios will produce an attractive distribution stream while providing superior capital gains to the banks, for example, and could prove more stable during a housing-led recession. We will revisit this article each year to see how our mini portfolio is performing relative to Commonwealth Bank and its rivals, and perhaps update you with some new ideas. In the interim, check out the Intelligent Investor Income Portfolio or if you're less interested in income and more into capital gains, then check out the Intelligent Investor Growth Portfolio.